Do you love the idea of replacing the window coverings in your Pompano Beach, FL home? It can be exciting to pick new window shades, interior shutters, or blinds for your property. But, some homeowners have a hard time selecting from the many products that are offered in the industry. Before you rush into the decision, it is a good idea to set an appointment with a window covering expert. Start your research by setting a list of priorities for your new window coverings. Consider the way the window coverings will be used, and the features that are most important for your family. Bring this list of priorities to your consultation with our team. We will assess the information and provide suggestions and products to match. Every homeowner is looking for ways to reduce the cost of installation. But, don’t get so focused on saving money that you overlook the long-term value of the products. The truth is that saving money right now could cost you more money in the future. For example, if you choose the cheapest blinds that you can find, then you need to know that they probably won’t hold up for the duration of your time in the home. Cheap blinds are often damaged with tangled cords and broken slats, resulting in the need to replace the blinds again in the future. A better solution is to choose higher quality blinds that are built to last. Even though you will spend a little more on the installation, you can rest assured to know that these products will be sturdy and durable. So, instead of looking for the cheapest products, talk to our team about the value available from each option. Focusing on value will give you a great return on your investment. You will have the long-term benefits that you desire. One of the benefits of scheduling a consultation with our team at Open House Interiors is that we can create the perfect plan for your family. We offer the listening ear that you deserve during the installation period. Open communication will help us understand your preferences. Then, we can put together a window design that will be ideal for your property. 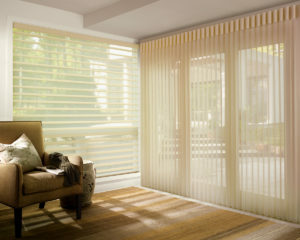 When you talk to our team, you can learn about the differences between shades, shutters, and blinds. We offer many products in each window covering category, giving you full control over the final design. You can pick the colors, features, and materials that will match your requirements and fit your budget. Keep in mind that the quality of window coverings will be top-notch when you choose a local contractor instead of a big-box store. Your windows need to be measured by an expert so that you can choose designs that cover every portion of the glass. Many contractors offer these services, but the quality varies depending on the company that you choose. If you want the best quality of shutters, shades, or blinds in your home, then you need to choose a contractor that you can trust. Look online for information about the company. You can often find reviews and business information, giving you more details about the services that you will receive. Your chances of success will go up when you choose a local company with a long history of window covering installation in the area. Make sure to choose an installation team that offers a free in-home consultation. We will set a time to visit your home to inspect the windows. During this appointment, we can ask questions about your preferences. Then, we will help you choose the materials that will be best suited to your home.